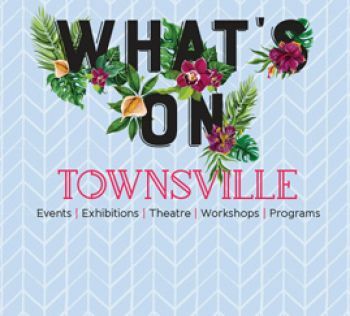 Townsville City Council, on behalf of the Townsville Local Disaster Management Group, offers a range of activities to help engage with and educate our local community about different types of disaster events. 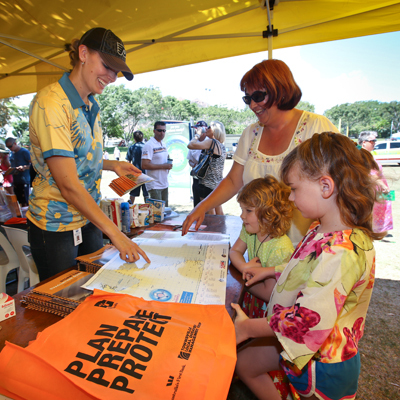 Council’s annual Cyclone Sunday event is a one-stop shop, where locals and tourists can obtain free information and access to subject-matter experts about disaster planning, preparation, response and recovery to enable the community to make informed decisions and undertake measures to minimise the effects of cyclones and other disasters. Cyclone Sunday is usually held on the first Sunday in November. Stay tuned for details of Cyclone Sunday 2019. An important part of helping families prepare for cyclones and other natural disasters is to teach children about such events. 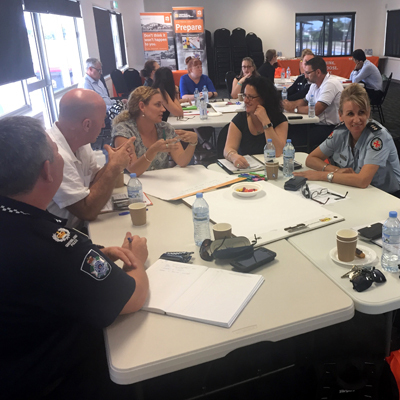 The Townsville Local Disaster Management Group, which includes Council, the SES and other emergency organisations, offers disaster awareness presentations to local schools to help educate students on what practical steps they can take to prepare themselves and their families for possible disaster events. We also offer to Year 5 and 6 an interactive educational program, where students can get involved in various disaster preparation activities under the knowledge and guidance of disaster management experts from Council and our local Emergency Services. For more information, contact Council’s Customer Call Centre on 13 48 10 or enquiries@townsville.qld.gov.au. Providing other assistance as requested.